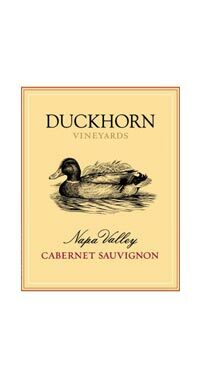 Duckhorn Vineyards was co-founded by Dan and Margaret Duckhorn in 1976 and has since established itself as one of North America’s top producers of Napa Valley wines. The winery’s seven estate vineyards are located in alluvial fans of Napa Valley and the much sought after Howell Mountain slopes. Winemaker Renee Ary works with each vineyard block separately and harvests when flavours are optimal and tannins are their softest. She approaches winemaking in an artisinal manner, by tasting and blending from close to 200 lots, separately barrel ageing each lot in oak from various cooperages. The result are wines of great finesse, personality and depth. This 85% Cabernet Sauvignon is completed by 10% Merlot, 2% Malbec, 2% Cabernet Franc and 1% Petit Verdot. Aged 16 months in French oak barrels, 30% new and 70% second fill. Elegant and fragrant with aromas of red currant, dried cherry, cigar box, cocoa, tobacco leaf and fig. On the palate, this wine is fresh and supple with flavours of spiced plum, rhubarb and red currant supported by dusty, fine-grained tannins and hints of cedar and sage.